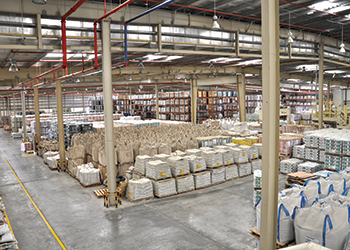 Mapei serves the Qatar market from its facility in Dubai. The company has seen a growth of over 20 per cent year-on-year over the last five years, currently reaching a total turnover of $15 million. Within Qatar, Mapei’s highly sought-after products sell through different mediums and are involved in numerous sectors, according to a company spokesman. One of the most significant projects Mapei is currently involved with is for Qatar Rail, where it is doing structural waterproofing, fit-out and finishing in the construction/underground phase. Mapei has also provided waterproofing and sealant solutions for the Al Bayt Stadium, and waterproofing and adhesive solutions for Hamad International Airport. Meanwhile, on the Misheireb Downtown renovation project in the heart of Doha, Mapei is involved in all phases of the renovation, including waterproofing, adhesives and finishing. 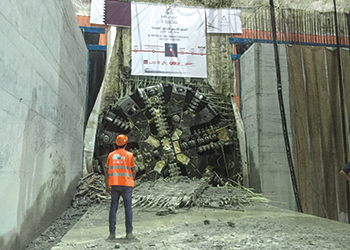 Mapei in Qatar ... significant work for Qatar Rail’s Doha Metro project. Other important projects include Pearl Mansion, Worker’s Hospitals, Doha Grand Park, and Doha Metro stations (Red Line North, Red Line South, Green Line). Furthermore, the company will be entering a number of large projects such as the Doha Grand Park and expansion of Hamad International Airport. “In terms of future prospects, there are numerous quality projects developing within Qatar, due to the industry taking its time to focus on quality instead of quantity. When such projects arise, Mapei’s products are a clear choice due to their proven quality historical record in previous projects,” he adds. Mapei serves the Qatar market from its facility in Dubai and there is no plan to open a plant in Qatar, the spokesman says. Mapei was established in Milan, Italy, in 1937. In the Middle East, it owns two subsidiaries: Mapei Construction Chemicals in Dubai (UAE); and Mapei Doha in Qatar. It distinguishes itself by its commitment to its clients, sustainability and the environment. “We believe that our service differentiates our products from the rest in competitive market as the GCC. We are trying to bring Italian excellency and quality into fields where we believe strong partnerships between local companies and Italian specialised applicators can bring a competitive edge of any of our clients. Therefore, not only do we aim to deliver unparalleled high quality and valued products to our clients, but we also provide constant support to them, within any stage of their projects,” says the spokesman. Additionally, Mapei puts a lot of importance of research and the development of products that are both sustainable and environment-friendly. It understands is about tested products and solutions that offer concrete assurance of higher durability and help save materials and energy. “Our constant innovation efforts have allowed us to create more than 150 certified products that contribute to a healthier environment,” the spokesman concludes.